The Russian-Ukrainian military conflict was the result of a deliberate political and social destabilisation of Ukraine. Russia’s aggravation of social contradictions in Ukraine through information and psychological operations, together with the financial and technical support of pro-Russian forces in Ukraine, contributed to the Russian occupation of Crimea as well as the development of the armed conflict in Luhansk and Donetsk regions. One of the elements of the hybrid war against Ukraine was the countrywide propagation of the idea of the “Russian World” – a cultural and civilisational concept designed to unite Russia and the countries where the Russian language and culture are common. 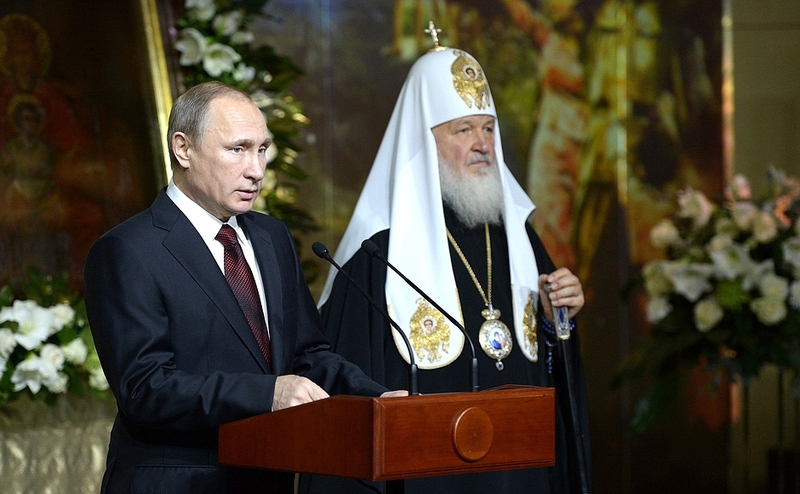 According to this concept, one of the pillars of the Russian World, its consolidating core, is the Orthodox Church of the Moscow Patriarchate (MP). At the same time, within the framework of the “Russian World”, the Ukrainian Orthodox Church (UOC) of the MP and the Russian Orthodox Church (ROC) are opposed to the UOC of the Kyiv Patriarchate (KP) as well as other denominations: Ukrainian Greek Catholic Church, Roman Catholic Church, protestant churches, etc. The belief in the need to protect Christianity in Ukraine from the central government and Ukrainian nationalism was disseminated with the help of Russian propaganda and led to the emergence of Orthodox radical groups in eastern Ukraine. UOC’s (MP) propaganda played an important role in spreading the idea of the “Russian World” across Donbas. In the course of their sermons, the clergy of the UOC (MP) told the congregation about the threat to Orthodox people from Ukrainian authorities and urged them to defend the “Russian World”. In addition, the ROC media had long promoted the idea of ​​autocracy in Ukraine as well as personality cults of Patriarch Kirill and Russian president Vladimir Putin. Cossack organisations, the main representatives of Orthodox radicalism in Ukraine, were the primary destabilising force at the beginning of the Ukrainian-Russian conflict. Among them were the Union of Cossack Organisations of Ukraine, Khartsyzsk Camp of Ukrainian Cossacks, New Azov Stanitsa of Don Cossacks, Luhansk Precinct of the Don Cossacks NGO and Luhansk Volunteer Brigade named after General Denikin, to name a few. The ROC Synodal Committee for interaction with Cossacks has worked in support of these groups. In 2013, in cooperation with Rossotrudnichestvo, they developed the idea of the Cossacks as the brace of the “Russian World” project and at the beginning of the armed conflict in Donbas, the Synodal Committee collected humanitarian aid for the supporters of the LPR and DPR. Later this assistance was transferred to the territories controlled by the separatists – the representatives of Don Cossacks. Later, during an escalation of the conflict, these organisations merged into the Russian Orthodox Army (ROA) headed by Igor Strelkov (Girkin). Moreover, Cossack groups from Russia began to operate in Ukraine as part of the Great Don Army. 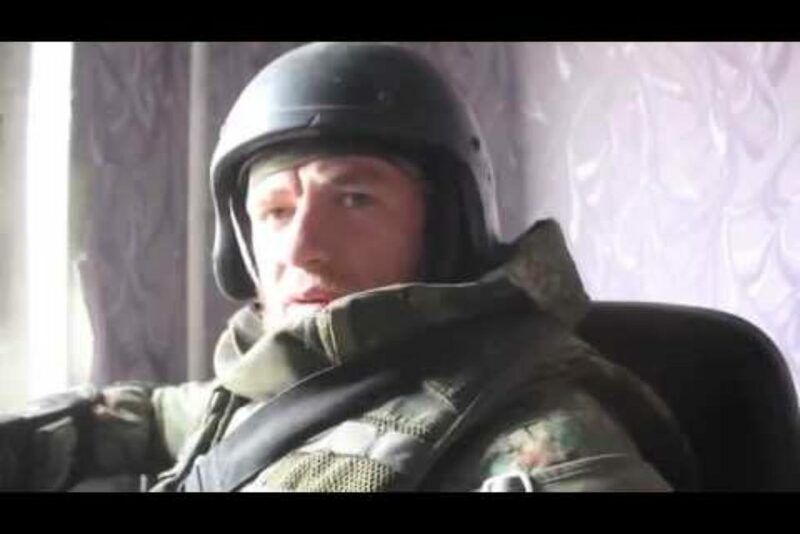 The representatives of the Don Cossacks of Ukraine, together with the Cossacks from Russia, participated in the seizure of administrative buildings in Donbas, attacks on border checkpoints of Ukraine, as well as the installation of illegal outposts in captured cities. 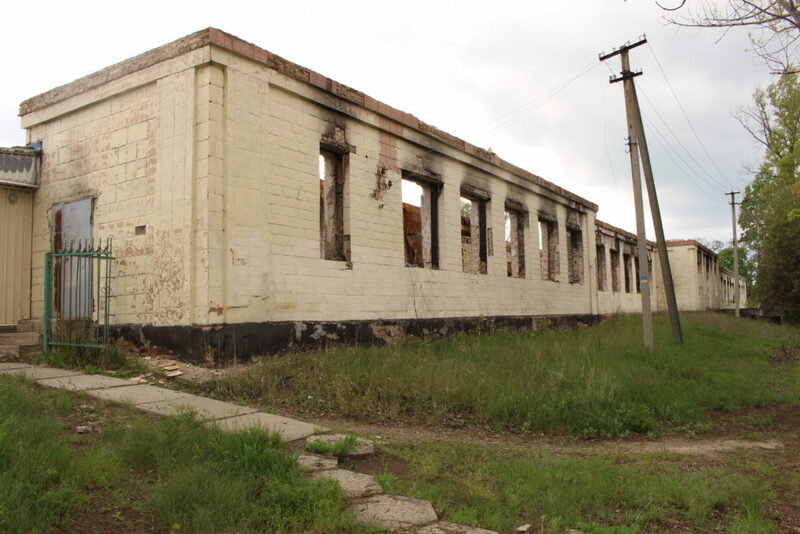 In April 2014, Cossacks took part in capturing the administrative buildings in Sloviansk and later, in the summer of 2014, took part in the battles in Krasnoarmiisk, Karlivka, Pisky, Ilovaisk and Debaltsevo. One of the goals of Rossotrudnichestvo is to protect and promote Russian culture and language abroad. Since 2013, a number of initiatives to support Cossack organisations in Ukraine have been implemented. In August 2016, Rossotrudnichestvo together with ROC representatives held a Camp of Young Compatriots in the Sumy region, during which children engaged in physical training as well as Bible study under the leadership of the ROC priests. The lack of control over the financial flows of religious organisations by the state has been an important factor in the formation and strengthening of paramilitary Cossack groups in Ukraine. According to Ukrainian law, religious organisations have ample fiscal freedom and, as a result, there is no state monitoring of their financial activities. In addition, an imperfect system of control over the state border of Ukraine allowed saboteurs from the Russian Federation, including Cossacks, to penetrate freely into the territory of Ukraine to smuggle weapons and special equipment from Russia for reconnaissance and sabotage activities. The Ukrainian scenario in Belarus? 2014 was marked by the activation of pro-Russian organisations in Belarus. In November, the Holy Rus Russian Orthodox movement distributed leaflets promoting the unification of the “Russian World”. As with Ukraine, Cossacks in Belarus became an instrument for the promotion of Orthodoxy and in 2016 three new organisations were registered: Belarusian Cossacks, All-Belarusian Union of Cossacks and MPC Cossack Saviour. In contrast to the other two, Belarusian Cossacks is a pro-state organisation. The All-Belarusian Union of Cossacks has co-operated with the Rus group (Public association of Russians in Belarus) and the Young Rus – organisations sponsored by pro-Russian forces. The head of the organisation is Cossack Colonel E. Makarenko, who opposes nationalism and considers the conflict in Ukraine a fight of anti-fascists (the Donetsk People’s Republic and the Luhansk People’s Republic) against the fascists. In addition to registered organisations, there have been a number of Cossack clubs and initiatives whose activities were of ad hoc character (a branch of the Starodub Cossack Regiment, Neman Cossacks club, Peacekeeping Cossack guards, to name a few). MPC Cossack Saviour organises camps for young people, where they are taught how to handle weapons and learn the tactics of subversive groups. The group has also co-operated with Igor Girkin-Strelkov’s movement of New Russia in Rostov-on-Don and their head personally carried out the delivery of humanitarian aid to Donbas. As in the case of Ukraine, there is a question of the role of Rossotrudnichestvo in financing the pro-Russian Cossack clubs. Belarusian representative offices of Rossotrudnichestvo were opened in Minsk (2010) and Brest (2014), but there is no reliable information on the organisation’s relationship with the Cossack or other pro-Russian groups in the country. Nevertheless, a number of independent media outlets drew attention to the significant increase in the Cossack and Orthodox paramilitary organisations in Belarus, following the opening of Rossotrudnichestvo offices. Since 2014, the revitalisation of the Orthodox military-patriotic clubs (OMPC) in Belarus has been observed. Most OMPCs are located in the Grodno region where there is a large concentration of the Catholic population and a history of armed resistance to the Russian occupation. 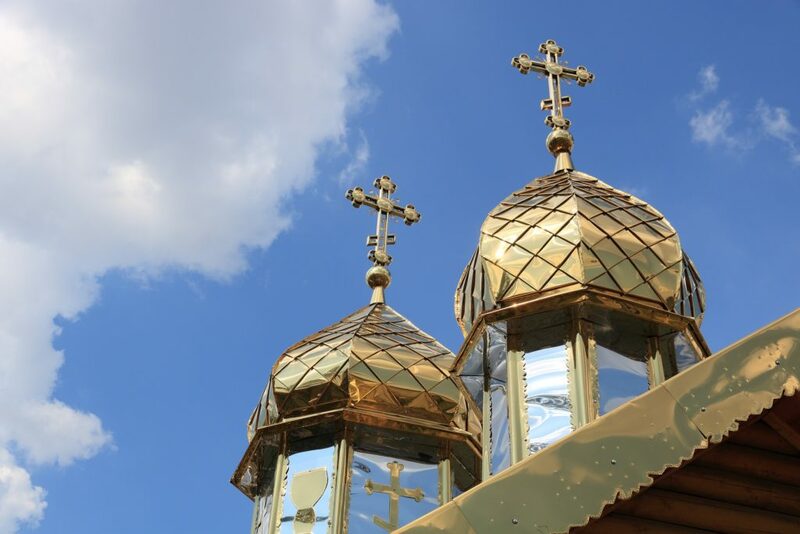 As of February 2016, there were eight OMPCs under the leadership of the Russian Orthodox Church in the Orthodox dioceses of the Grodno region, while in the whole country there have been a little more than twenty of them. Such a large number of OMPCs in the territory of predominantly Catholic population can be explained by the desire to create support for the Russian military among the local population in case the Ukrainian scenario is repeated in Belarus. The first OMPC Vityaz was created back in 2003, recruiting young men of 12 to 18 years of age. Besides spiritual and educational activities, its members engage in physical and military training and learn the basics of martial arts three times a week. In addition, Belarus saw the intensification of activities of the Russian National Unity (RNU) movement, whose members came from the Russian Federation and Belarus to Donbas to participate in the fighting on the side of the self-proclaimed DPR and LPR. According to information posted on the movement’s social network page, by “Russia” they do not mean the current Russian Federation, as according to the thousand-year-old Orthodox tradition (before the revolution of 1917), there is a Great Russia, Little Russia and White Rus (Belarus). The movement was denied official registration in Belarus, but this does not prevent the RNU from operating in the country and recruiting fighters among the Belarusian population. It would be impossible for Belarus to completely avoid the military conflict in the neighbouring countries, although the country has sought to stay neutral. While the Minister of Defence stated that Belarus does not consider any state an enemy, the government has made a number of changes at the legislative level. In January 2016, a new version of the military doctrine was approved calling hybrid warfare a potential threat. Moreover, a number of measures have been taken to enhance the protection of the state border, such as the change of admission rules at the Belarus-Russia border. Moreover, since 2014 Belarus has been pursuing a systematic policy to strengthen its borders, as it was the inability to control the Russia-Ukraine border by the Ukrainian authorities that largely determined the course of the conflict in the east of the country. In addition, in 2016, Belarus held military exercises aimed at protection of state borders. Given the events that unfolded in Ukraine before and at the early stages of the conflict, it can be claimed that the situation in Belarus may potentially threaten the country’s national security. Despite the fact that Belarus has taken a number of steps to counter the danger, they have been insufficient in the context of the fight against Orthodox radicalism. In order to address it properly, the country should simplify the procedure for demarcation of the state border with Russia, continue the formation of territorial defence units in the border areas and to amend the law on public associations, in order to prohibit activities of associations and movements denying Belarusian nationality. Moreover, both Belarus and Ukraine should legislatively prohibit non-governmental organisations and religious communities from creating military-patriotic clubs involved in small arms, intelligence, and subversive activities training. The states should also introduce a financial monitoring mechanism over the activities of religious organisations in order to implement a legislative ban on funding extremism. Finally, they should prohibit the activities of Rossotrudnichestvo as an agency that is directly sponsoring propaganda, spread by Cossack organisations, calling for a forcible change of the constitutional system of Ukraine and Belarus. Heorhii Bushuiev is an MA student in international relations at Mariupol State University. Ekaterina Maslakova is a PhD student in History of Philosophy at the Faculty of Philosophy and Social Sciences, Belarusian State University.